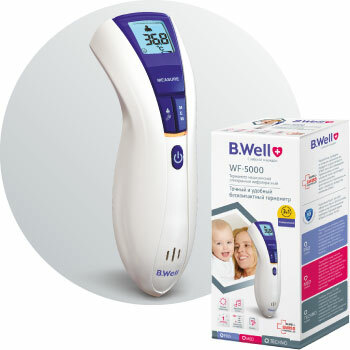 Accurate and safe thermometers essential device for every household. Are state-of-the-art thermometers used for a comfortable measuring. Advanced thermometers that open up new possibilities of temperature monitoring. Digital thermometers are accurate and safe and have been designed free of mercury and glass. Take care of health of your loved ones and ecology of your home. Illuminated display for easy measuring at night. Flexible tip ensures a comfortable measuring. It is bent up to 450 and easily adjusts to body form. Thermometer is completely waterproof. Special waterproof inserts protect the device against water ingress.  We made your choice easier by dividing all our products into 3 lines: MED, PRO and TECHNO. Now everyone can find the necessary product matching his or her needs. 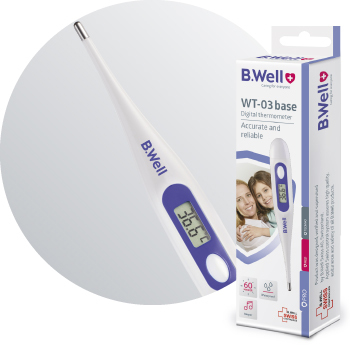 PRO thermometers — are essential device for every household. These are classical models of digital thermometers, which will be the perfect replacement of a mercury thermometer. They are accurate, safe and convenient for adults and children. MED thermometers — are state-of-the-art devices for a comfortable measuring. 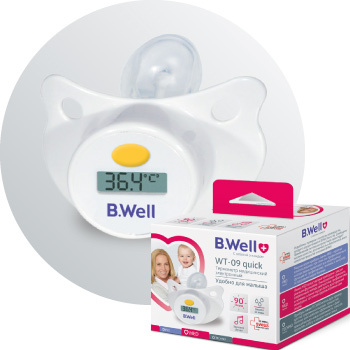 These models are particularly comfortable for babies and will help to measure the temperature of any fidget. Thermometers TECHNO provide new opportunities for the temperature monitoring — fast measuring, accuracy and comfort of state-of-the-art technologies. Do you want to measure temperature in one second? 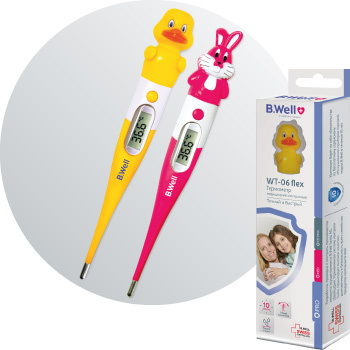 Do you want to choose a thermometer which will become your baby’s friend? 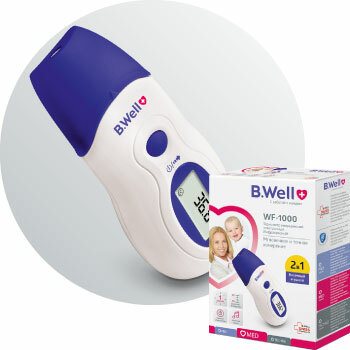 Do you want to buy a thermometer which is convenient to take along? Do you want to know the temperature of water or infant formula? 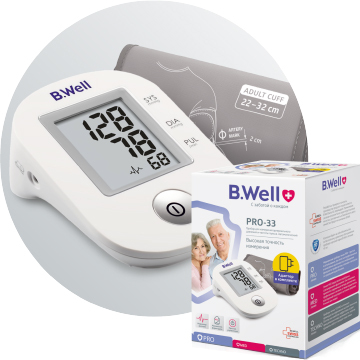 B.Well offers a great variety of thermometers that will be suitable in each situation. Infrared thermometers – the most comfortable. They instantly measure the temperature in just a few seconds. These devices are particularly comfortable for infants and their parents. 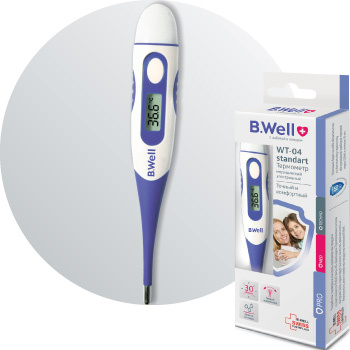 B.Well digital thermometers — perfect replacement of mercury thermometers. Digital thermometers measure temperature fast and accurate, indicate the result on the easy-to-interpret display and have an attractive design. WHAT IS A “NORMAL” TEMPERATURE?